Today only, while supplies last, get this Bella - Pro Series 6-qt. 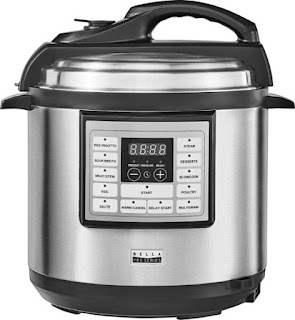 Digital Multi Cooker for ONLY $39.99 (Retail $79.99)! Create savory one-pot meals with this 6-quart Bella Pro multicooker. Apply versatile cooking techniques using its 10 programmable functions, and enjoy safe operation thanks to the pressure and steam release features. This Bella Pro multicooker has a powerful 1000W heating system to let you quickly prepare meals in its removable nonstick pot.